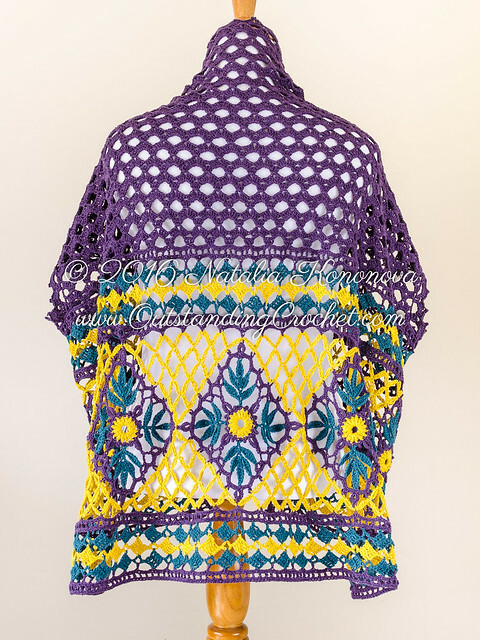 Outstanding Crochet: Sneak peek on a new crochet pattern to be added during next week - 2 Ways to Wear Open Front Boho Chic Cardigan. 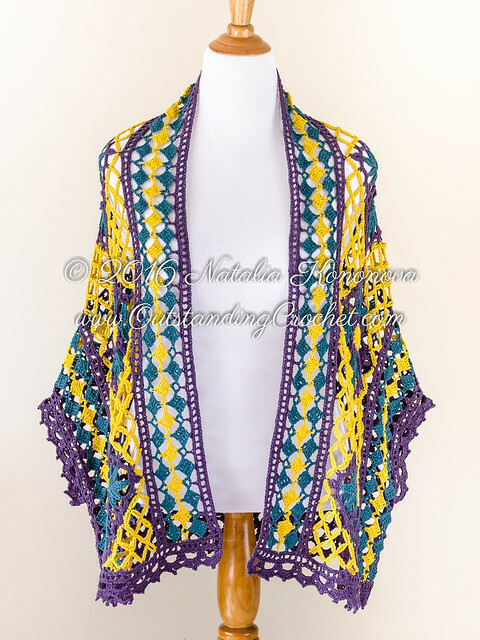 Sneak peek on a new crochet pattern to be added during next week - 2 Ways to Wear Open Front Boho Chic Cardigan. 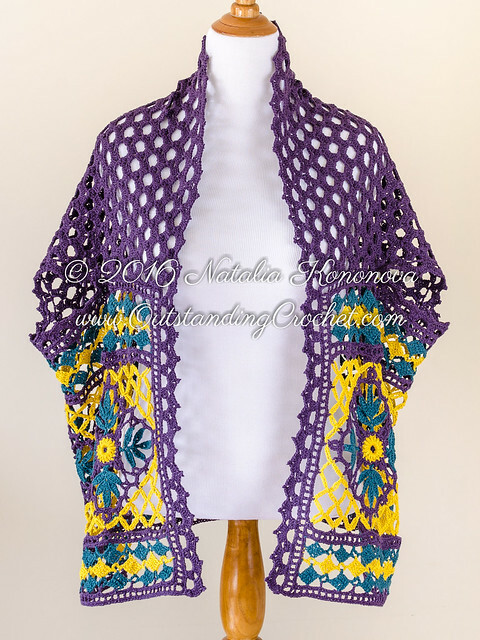 2 Ways to Wear - 2 in 1 - Open Front Cardi is ready! Yey! I believe it will be my favorite this summer. I like it so much! If you did not yet, insert your e-male in the right upper corner to follow me. 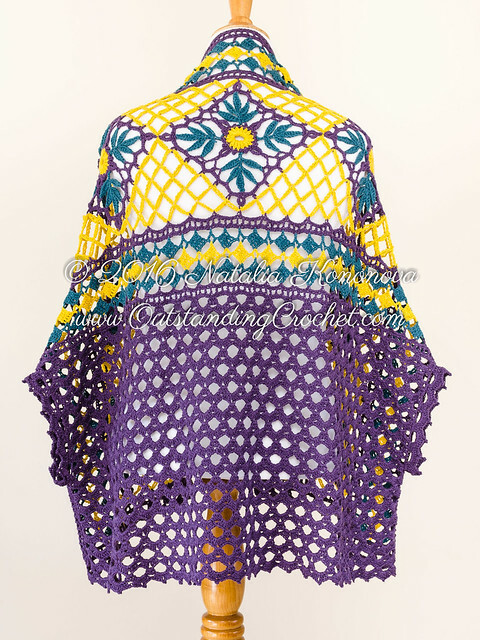 You will get announcements of new patterns and this one in your e-mail box. I hope to finish it by the end of this week or the next one. Also, note, I added the Instagram link. If it's what you mostly use, good news - I post everything there as well. The button is under the header. Absolutely awesome! I'm speechless with admiration! Can't wait to get this pattern! Thank you, Nancy! I am working on it!I have all the charts and instructions. It's all about checking, checking, rechecking and again... The hardest work! It's very beautiful!!! i love it. Also, not sure if I'm doing it right, the instagram buttons appears to be just a picture. When I click there is no link attached. But I may be able to find you iver there without it. Amy, the button in the post is only a picture. The real button is with others under the header. it's bigger than others now. ;) I will scale it later. Po prostu cudo.Zestaw koloroe i wzor jest super.Pozdrawiam serdecznie. What a very very clever idea!and the colors are just "impeccable"!! I'm waiting too for the pattern,thnks for all your beautiful work. Very Pretty. I still don't know how you work so fast! Thank you, Mary Jane! I Crochet faster than I get PDF together. It's so much work! You know.